Parents of Yinon Levanon, killed after an Arab smuggling illegal aliens collided with his car, demand to be recognized as terror victims. The parents of Yinon Levanon, who was killed in 2013 after an Arab who was smuggling illegal aliens collided with his car, are demanding that the Defense Ministry recognize them as victims of hostile activities. The Arab collided with the vehicle that Yinon was driving as he tried to pass a group of vehicles near the Kramim junction in southern Israel. The driver, who admitted that he had been driving the vehicle and that he had been carrying illegal passengers, signed a plea bargain in 2015 under which he was sentenced to three and a half years in prison, 20,000 shekels in compensation and had his driver’s license revoked for a period of 15 years. 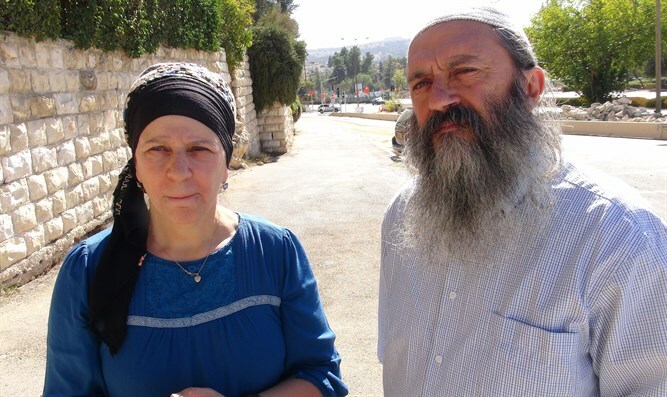 Hava and Haim Levanon, the parents of Yinon, demanded that they be recognized as victims of hostile activities immediately after the incident, but the Ministry of Defense refused. They have now filed another request asking to be recognized as victims of hostile activities through attorney Uri Zipori.